Laboratory relocations can be a real challenge. They are difficult and can be a major organizational load that diverts you from your main mission. 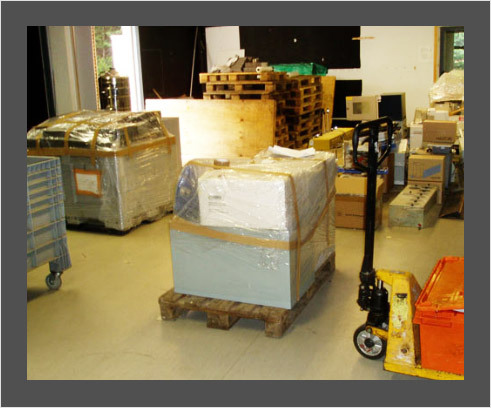 That's where the need to hire Laboratory relocation services in Mumbai arises. Global wooden packers endow you with a reasonable, turnkey solution that delivers well-organized Laboratory relocation services in Mumbai. Our project manager is assigned to organize and administer well-trained technical resources carrying out relocation services for instruments, models, samples, and other vital lab assets at different stages of the relocation. Being one of the top prov iders of Laboratory relocation services in Mumbai, Global wooden packers have the right personnel, specialized equipment and skill to endow you with a top-notch relocation while keeping your lab's security and prudence in mind. Department wise Packing list, Computer, Equipments, Machines with SR. No. After dismantling machines, equipments Special care for all Machines Cables. Adaptor, and supporting accessories to be packed with same machines It is very easy to locate the related tools during the time of unpacking and re-arranging.